The deluxe room is designed to enhance the entire holiday or business experience with charming, cozy and unmatched elegance. With the beautiful sun rays streaming to your room early in the morning, you only open the shutters to sink into the lulling cool weather of the city outskirts. The room has a large sitting area fitted with large fabric sofas which give comfort and space that you desire for socialising. The king-size bed with soft warm spreads and fluffy pillows is just the right feel to afford you a relaxed rest during your stay. 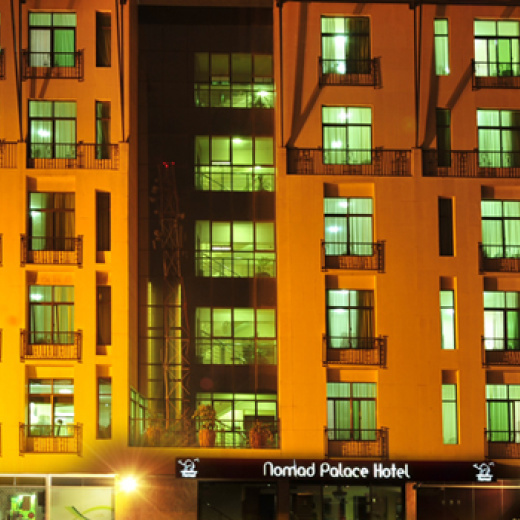 Nomad Palace Hotel is strategically located along General Waruingi Street; about 200 metres from Starehe Boys Centre, 10 minutes' drive to the east of Nairobi's Central Business District and 20 minutes from the Jomo Kenyatta International Airport. The six-storey hotel has three wings housing 95 stylishly furnished rooms which are categorised into deluxe, superior and standard rooms. 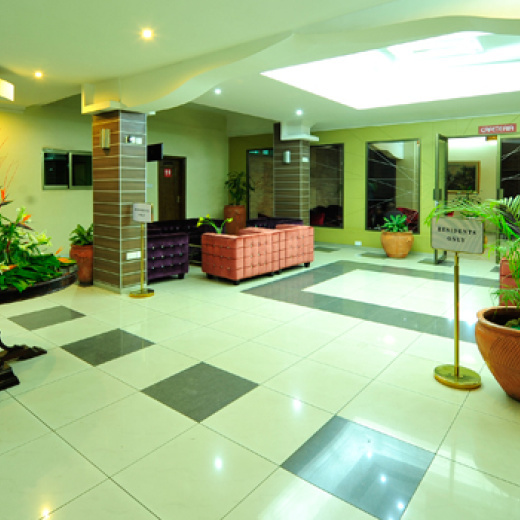 All rooms are equipped with world class hotel facilities that include high speed internet connection, electronic safe deposit box and 24-hour satellite TV channels featuring sports, news, movies and documentaries. Dining facilities include a 60-seater restaurant on the 1st floor which serves a wide range of local and international cuisine with experienced chefs who always introduce additional menus to meet the expectations of guests. The ground floor features a beautifully designed high ceiling cafeteria that serves light meals and beverages. Coupled with a 24-hour room service, dining at Nomad Palace is quite an exceptional experience. Well trained and professional chefs have delivered authentic and tasty meals everyday to the delight and satisfaction of the guests. While at Nomad Palace, do not miss to sample the unique camel delicacy, low cholesterol and high protein menu and a first in the local hospitality industry.